The Hellenic Pilots Association (HPA) organizes the 1st Aviation and Tourism event in Kalamata, on the occasion of the 14th International Conference of Cirrus Owners and Pilots Association (COPA), on May 26, 2016, with the collaboration of Peloponnese Region and under the auspices of the Greek National Tourism Organization, managed by iForce Communications. The Municipalities of Kalamata, Messini and Trifylia also support the event. 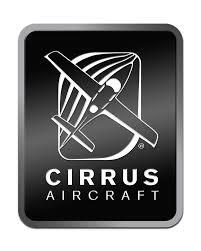 More than 45 private Cirrus air crafts have already confirmed their participation, coming from all around Europe for the first time in our country, through the international Cirrus Owners and Pilots Association (COPA). It is the first time that such an international meeting takes place in our country, a fact that introduces Greece into the international General Aviation map. All foreign pilot owners will attend the event with their families in order to experience our country’s hospitality. Reception and departure events will be held in Kalamata military airport (120 AIR TRAINING WING). Participation only with prior personal invitation and security admission.